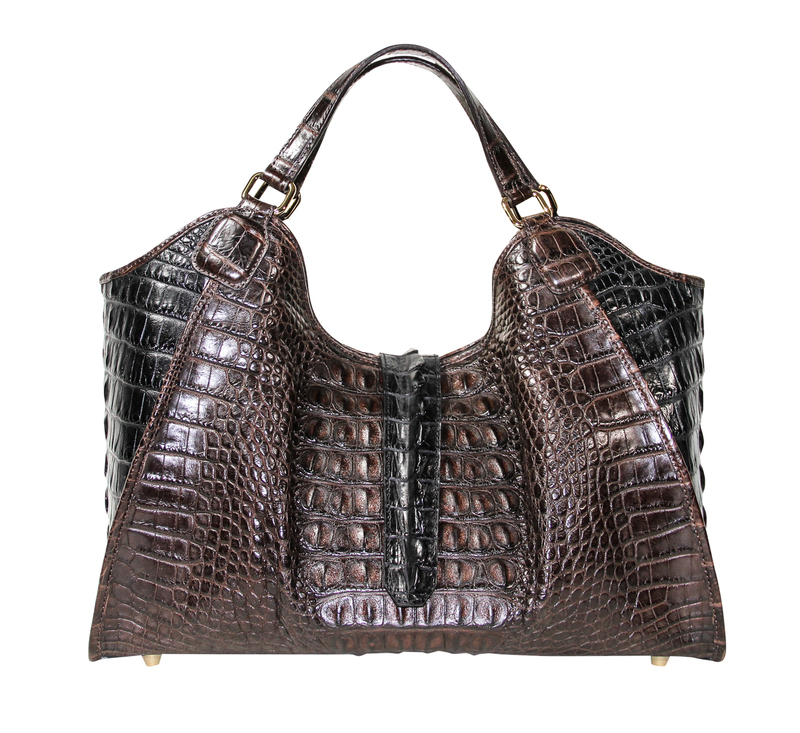 Are you more interested in alligator handbags and other finished products? Visit Roje Workshop for retail, bespoke and private label bags and furniture. The highly textured genuine alligator hornback straps are used to craft stunning and strong genuine alligator belts, watch straps, guitar straps, and dog collars. While not the most common use of hides, genuine Alligator leather wallets are rich in quality matched with rugged reliability. Because of their size, smaller pieces of material can be used to craft fine billfolds and smaller accessories on an economical budget. This means with proper planning, multiple accessories can be crafted from a single hide, or from scraps of hides cut for other uses. 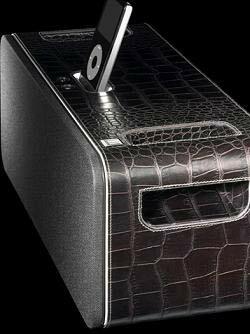 For the businessman or woman who desires to carry the tools to match the structure and tone of their presence, a genuine alligator briefcase or portfolio ensures with any prospective client that words are not necessary. 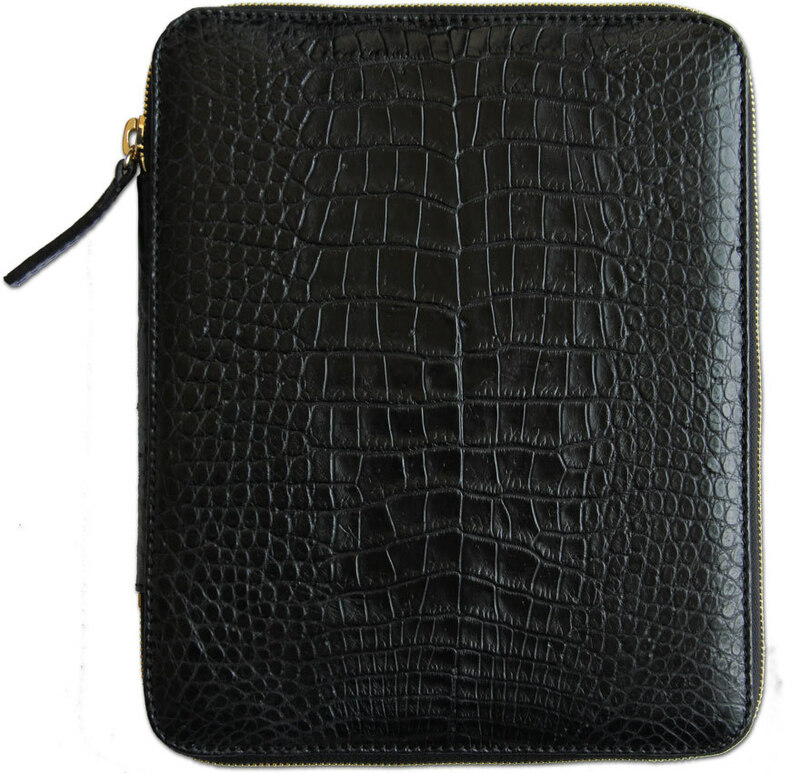 Likewise, alligator leather can be used to skin any kind of case, including gun cases, humidors, books, jewelry boxes, or tech gadgets such as an iPhone, iPad or Android-powered smartphone. 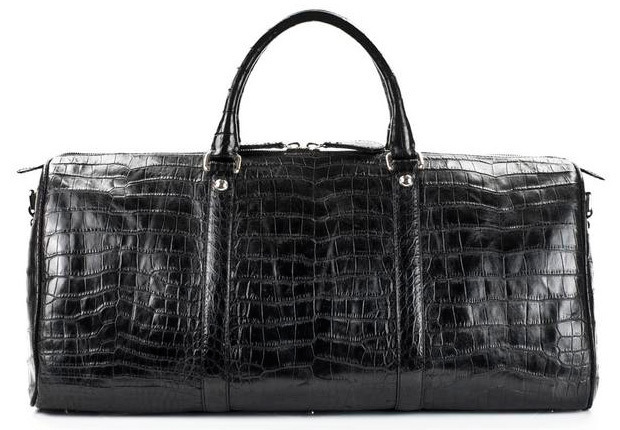 Alligator skin is synonymous with luxury, so it comes as no surprise the smooth American alligator belly hides are used in the production of high-end merchadise in the world of fashion and design. 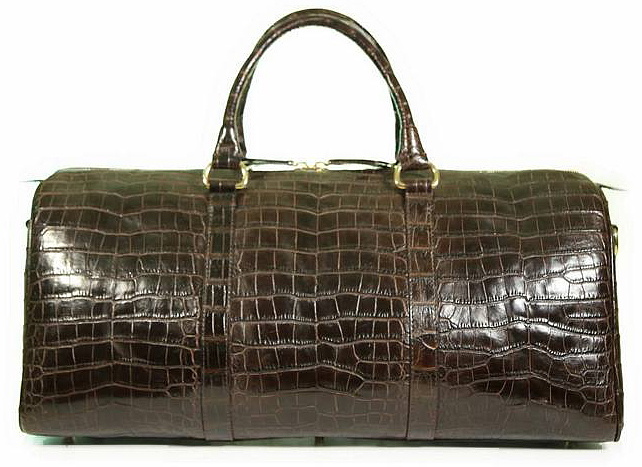 Alligator handbags and purses sell anywhere from several hundred to hundreds of thousands of dollars. Only the highest grade, widest skins, free of any scaring and blemishes, can be used to create a finished product worthy of the most discerning taste. The resurgence of Concealed Carry Shall-Issue laws across the United States has created fresh demand for gun holsters, and like any firearm, any holster worth its weight is well designed, fits perfectly, and looks good. Genuine alligator leather furniture greatly increases the market price and resell value of any furniture. Some popular uses are ottomans, chairs, cushions, and backings with genuine alligator leather custom tanned to fit the specifications required for the finished piece. 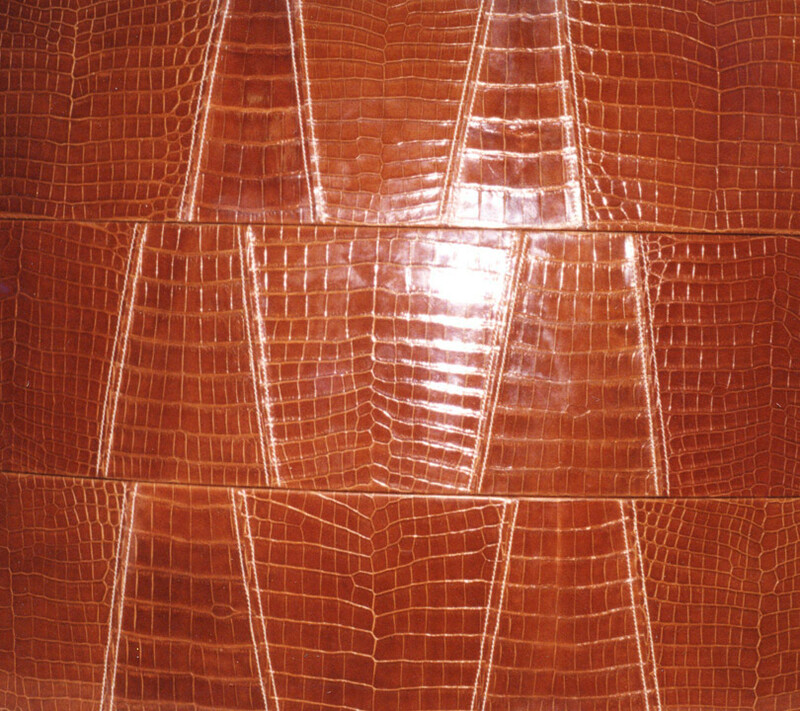 Architects and designers understand its all in the details; alligator leather is a resilient material that works well for both upholstery, trims, and wallcoverings. There are endless possibilities in finishes and colors for show cars and luxury transport. 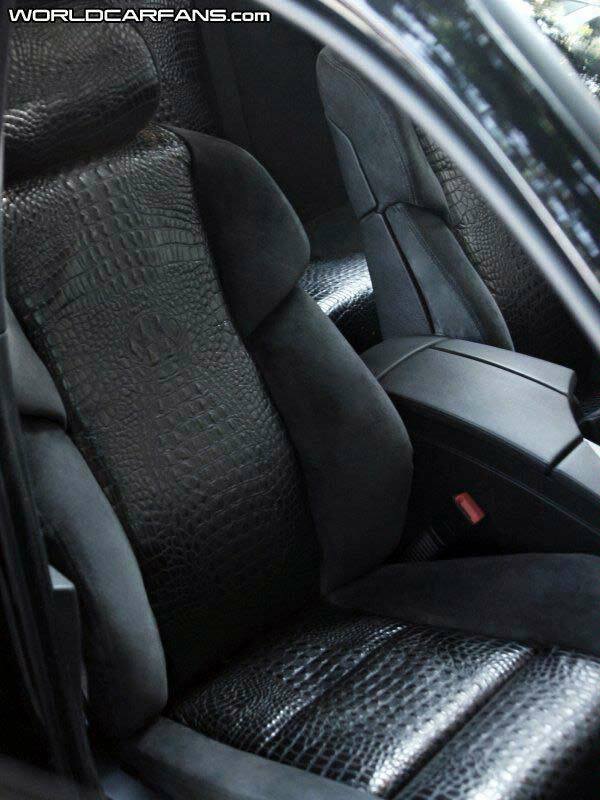 Custom car interior designers can enhance almost every detail of an interior due to the pliability of genuine alligator. Whether a full genuine alligator jacket to small trims on leather heels and shoes, alligator leather is a staple in the high-end fashion industry. Entire fashion shows have revolved around this amazingly versatile material that wears as well as it looks.